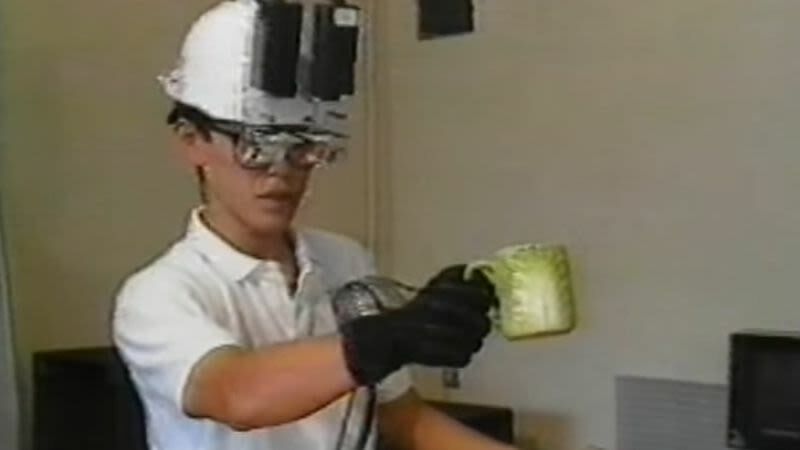 Based on a mix of US and Japanese technology, this brief news segment shows a vibrant VR community in 1990 Japan. There’s gloves and HMDs from VPL, although the LCD displays inside the helmet are from Sony Japan. There’s also a nice augmented reality helmet (built on an actual construction helmet), and a force/tactile feedback system to boot. More than 20 years ago, all the pieces of the VR puzzle were all in place.